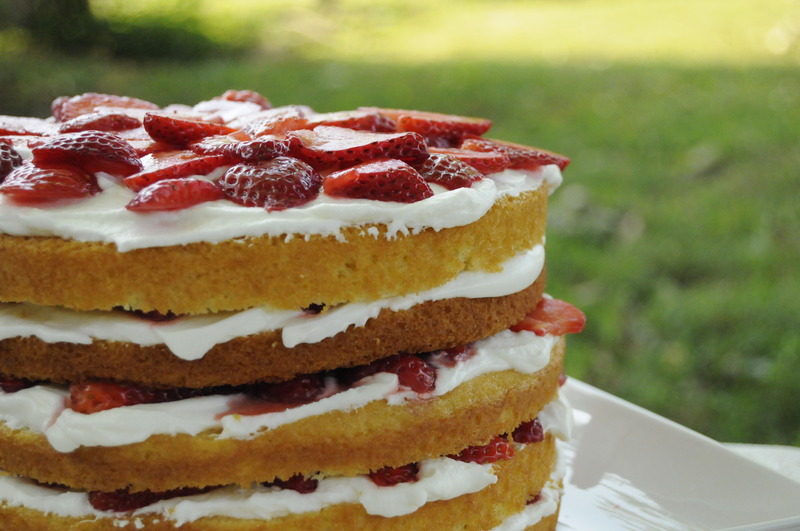 A five layer strawberry shortcake! 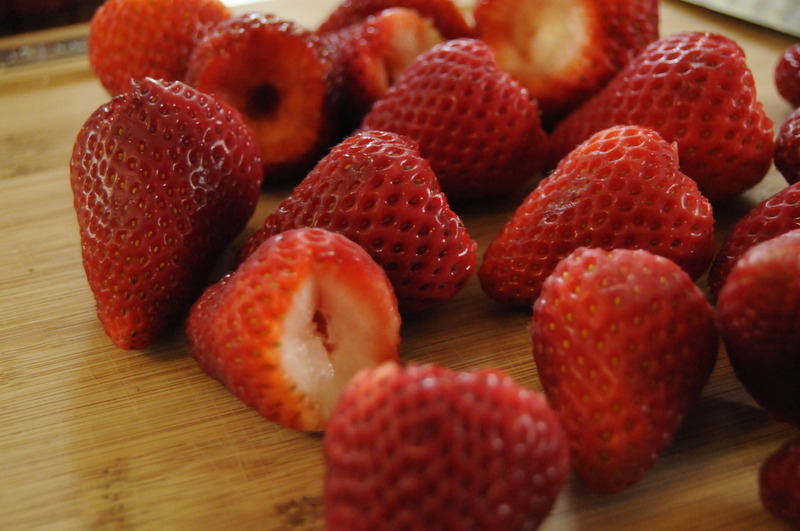 We’re all about the strawberries ’round here. 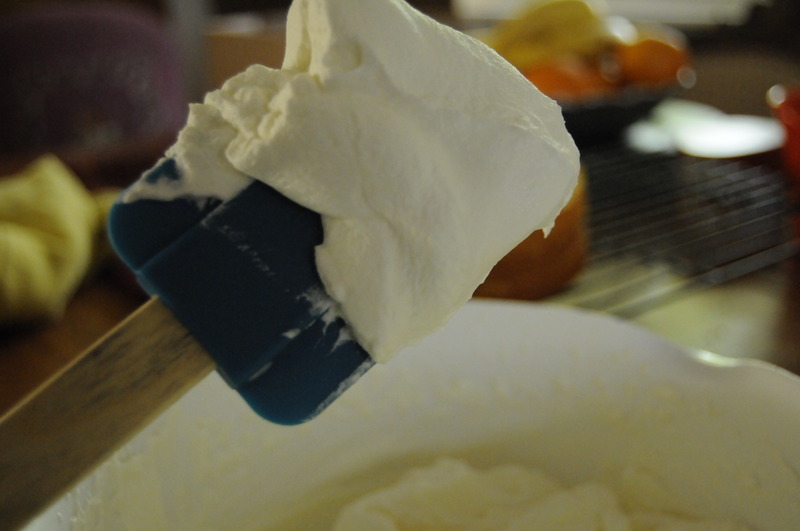 And homemade whipped cream – there’s really not much that beats a real whipped cream. And shortcake. The cake is not actually shortcake. 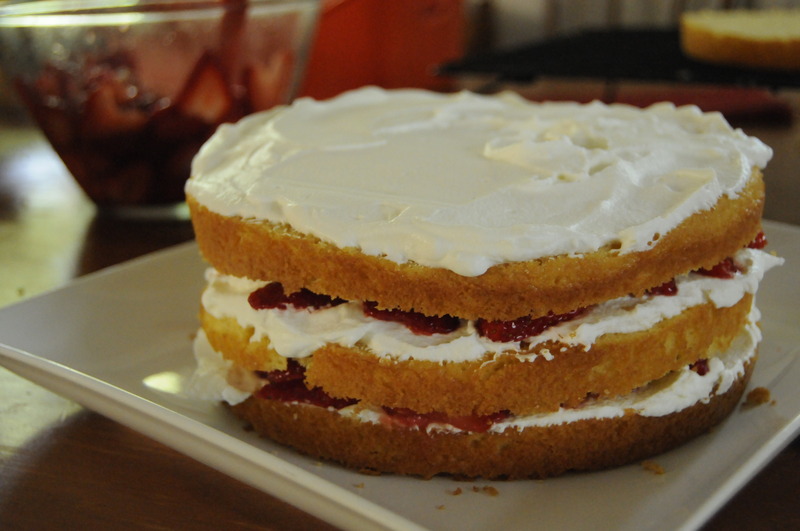 I cheated a little, so those layers of berries are stacked high between sliced yellow cake … from a mix. It was so insanely easy! Make cake, cut into layers. Mix heavy whipping cream and sugar together. Slice berries, let sit in a bit of sugar. Layer cake, whipped cream, berries. Repeat (three, four, five times!). With such ease of preparation, this has become one of my go-to party desserts. Do you have a certain thing you make for occasions, a go-to party dish or dessert? This looks delicious! Perfect for summer BBQs – job well done! 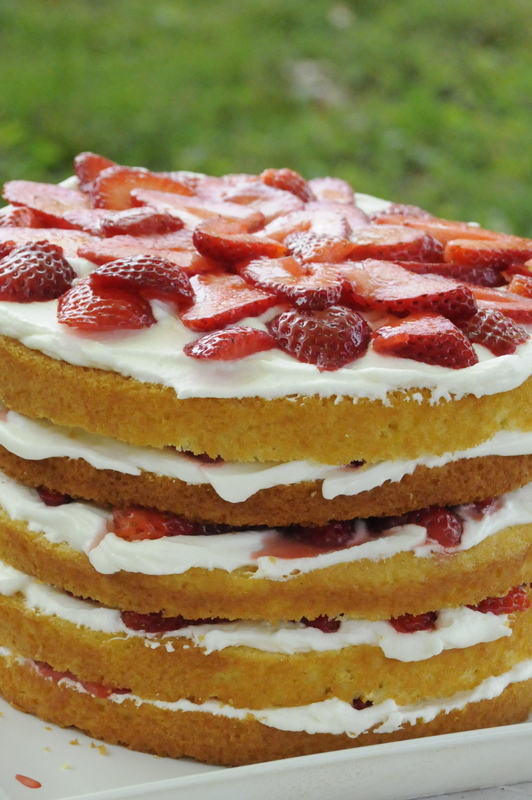 What a delicious looking cake… I’m loving your arrangement of the strawberries on the top as well!